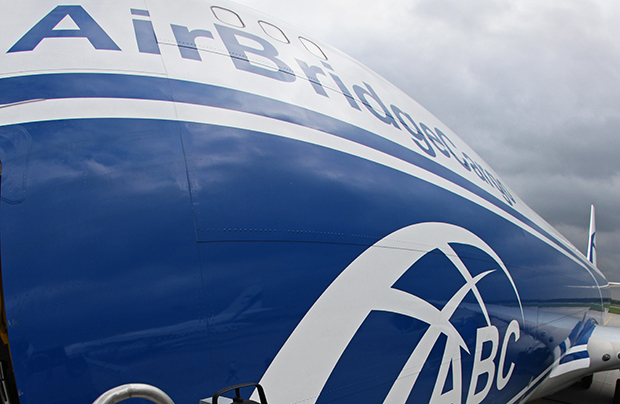 AirBridgeCargo Airlines (ABC, the scheduled business of Russia’s Volga-Dnepr Group) has announced the launch of freighter services between Moscow and London Heathrow Airport beginning November 3. The flights will be operated twice a week on a Boeing 747, offering cargo capacity of over 100 tons. “Last year, 29% of the UK’s non-EU exports by value went through Heathrow and the airport says AirBridgeCargo’s new services will be welcomed by British exporters, which currently face a shortage of space in aircraft holds going to long-haul destinations. The squeeze is most pronounced on routes to Asia, a region where consumer spending is expected to reach $32 trillion by 2030,” ABC says in a statement. Heathrow has become the 14th European destination in the Russian cargo carrier’s network. With it, ABC expects to “leverage growing market demand for British goods with mainland Europe and South East Asia” and facilitate export into the UK. “The introduction of London Heathrow services is an important step for us and extends the number of delivery solutions we can offer our worldwide customers,” Robert van de Weg, senior vice president of sales & marketing at Volga-Dnepr Group commented. He pointed out that Europe and China have been the prime markets for the airline, and their importance does not cease. In the first nine months of 2016, the group has achieved a 22% increase in tonnage from Europe, he said. In his turn, Heathrow Airport’s head of cargo Nick Platts, welcomed the Russian airline, saying that new cargo partners like ABC, “along with our plans for expansion at Heathrow, will allow us to increase our cargo capacity and keep the UK open to business around the world.” Having received UK Government backing for its expansion, Heathrow plans to open up 40 destinations and almost double its cargo processing capacity. The airport is investing £180 million over 15 years to improve its cargo infrastructure and processes.